Prepare Gwaltney Pork Hot Dogs by grilling or gently boiling in water. Brown 1 lb. of Gwaltney Bacon. Drain on paper towel. Crumble into bits. Heat 1 can of prepared chili. Place the bacon bits, chili, relish, japaleños, shredded cheese into separate serving bowls. Add other condiments like mustard and ketchup. 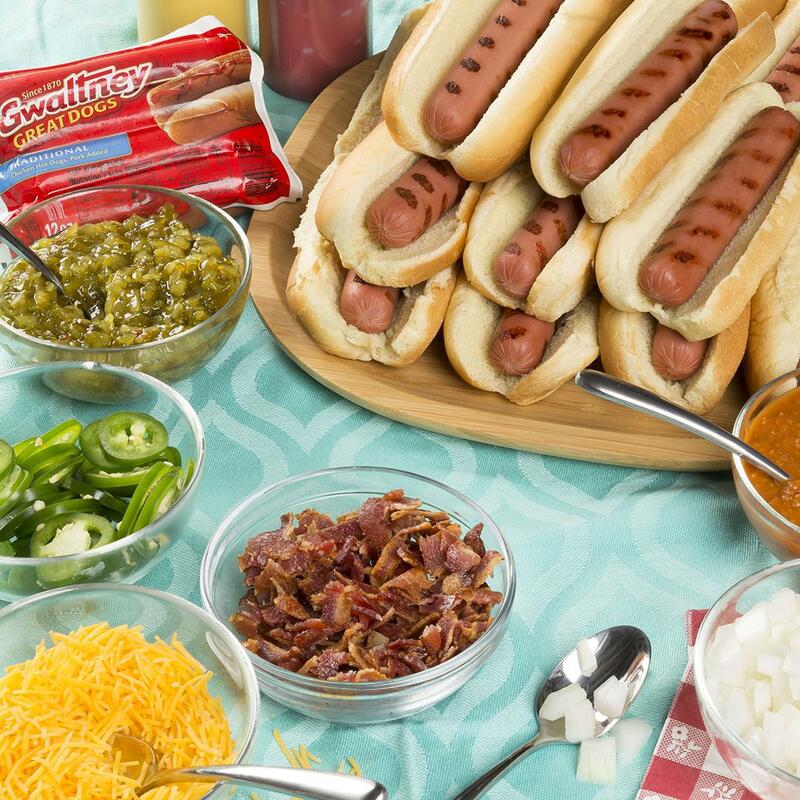 Arrange hot dogs in buns on large platter.